Bali land activities tours is our products that offer a range of land Activities during your holiday in paradise of Bali Island. The land Activities we offer are very attractive and full of challenging and fun. Explore the ford of Bali natures walk encircled by the beauty of natural nature with multifarious of flora and fauna, see the friendliness of Balinese resident in the rural area and explore every corner of Bali land and also we will take you to the an amazing natural scenery of Bali paradise Island By joining our service. This tour has provided the interesting Activities such as Elephant Park, Safari and Marine Park, Bird and Reptile Park, Horse Riding, Camel Riding, Golf, Cooking Class, with competitive rate. Join and participate from one of the perfect choice adventure gives you the memory which is not fallen into oblivion and later tell to others. WE GUARANTEE, all the activities that will do all is safe, best price, a lot of fun, and ensure your land activities is memorable one. Please do not hesitate to contact us if there information that we provide is not clear. Bali Elephant Park is an exciting land activities available in Bali, the experience of riding an elephant in the artificial forest will give the impression of a charming in these activities. In addition, for the show will be performed by a trained elephant is a better value can be in these activities. Golf is a sport that is very famous in the world, which is these activities, can be done in Bali. With complete facilities, international standard golf course and a very nice service, there is no harm to make Bali golf as one favorite activity in your holiday in Bali. Bali cooking class is providing activities that will provide a new experience on how to make Balinese cuisine, beside it will also be taught how to make Balinese spice and to see the activities of the merchants in traditional markets. 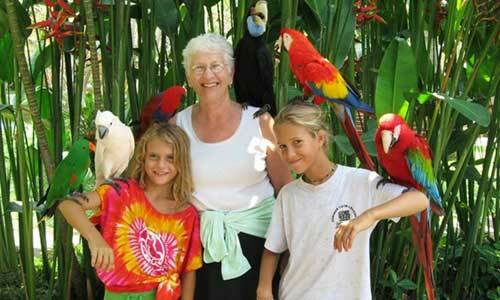 Bali Bird Park is the only park complete birds in Bali. There are more than 250 species of birds that originated from Indonesia. Other than that there are also various types of reptiles that will increase your knowledge if you visit it. Bali Zoo Park is a tourist attraction that available in Bali to see the variety of animals that originated from Bali and surrounding areas. Which is very famous in this zoo is one of the uniqueness species of monkey originating from the island of Borneo. 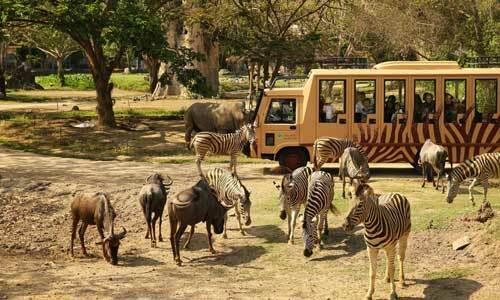 Bali Safari and Marine Park is the largest and most complete zoo in Bali. 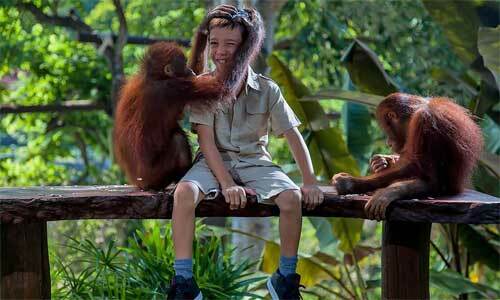 There are more than 60 species of animals that originated from Indonesia and abroad. Besides complete facilities there are also has a theaters that performances about one of the uniqueness Balinese culture. Bali horse riding is an experience that will never be forgotten to make complete your holiday in Bali. 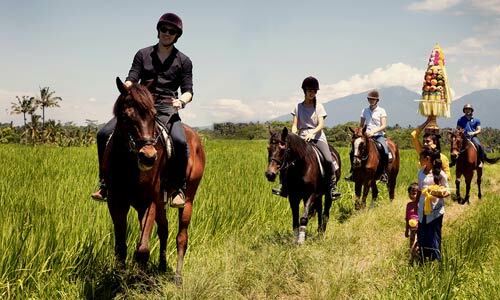 Doing horse ridding in Bali has own advantages, besides a very beautiful place with amazing sea view would give a different impression in these activities. 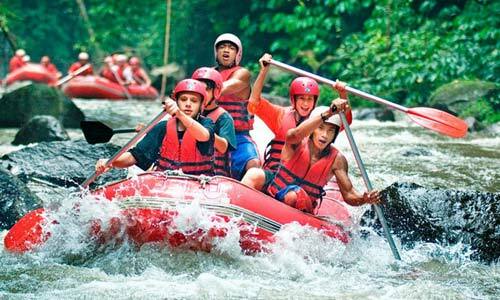 Bali Land Cruises is one adventure to explore a very secluded area in Bali with a specially vehicle. 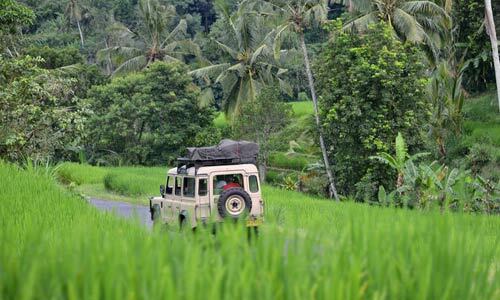 Besides visiting a rural area, which is thick with tradition of this adventure will take you to the most visited extensive rice fields in Bali.